Many people know that if a person is injured because of another party’s negligence, he or she may be entitled to compensation. However, if another person’s negligence caused the wrongful death of your loved one, you may be entitled to compensation. At the law office of Carluzzo Rochkind& Smith, P.C., we know that there is no amount of money that can ease the grief you are feeling, and few things are more painful than unexpectedly losing a loved one. Financial compensation cannot heal your pain, but it can help alleviate some of the financial stress you are feeling. 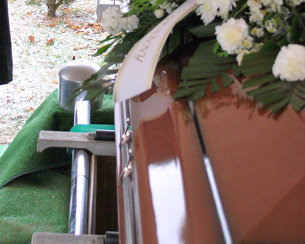 Whether you are burdened with end-of-life medical bills from your loved one or are facing funeral expenses and lost wages, a wrongful death lawsuit can help provide compensation. When personal injury lawsuits are awarded, they are designed to provide compensation for fixed expenses (such as medical bills and lost wages) as well as invaluable elements (such as pain and suffering). A wrongful death lawsuit can provide compensation for those fixed expenses, but it also attempts to provide compensation for the things the decedent will no longer be able to provide. For example, loss of future wages and loss of companionship may be calculated in the lawsuit. clients in Manassas, Prince William, Manassas Park, Gainesville, Haymarket, Woodbridge, Lake Ridge, Dumfries, Bristow, Warrenton, Centreville, Fairfax, Stafford, Chantilly, Leesburg, Ashburn, Sterling, Herndon, Reston, Alexandria, Annandale, Arlington, and throughout Northern Virginia. We know we can’t ease your pain or bring your loved one back to life, but we can fight to bring financial justice to the equation.